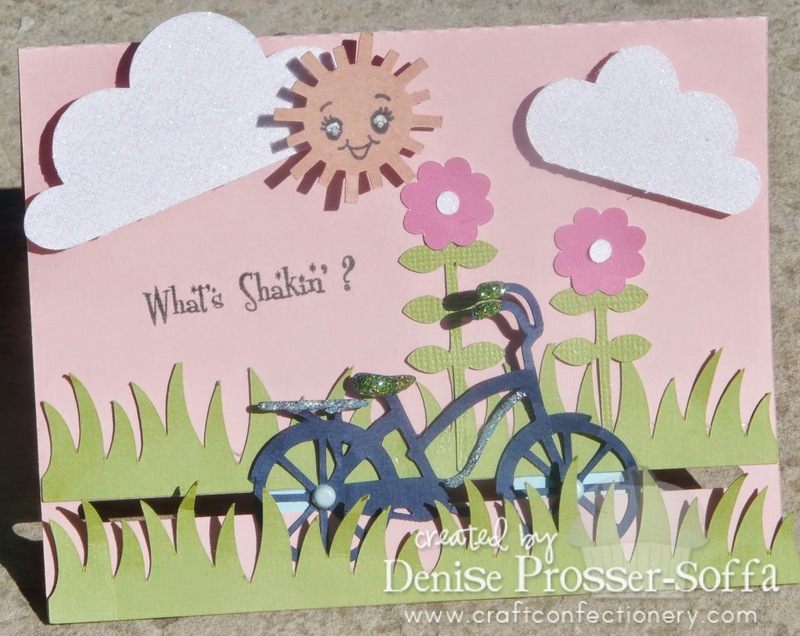 Craft Confectionery: What's Shakin' ? I decided to make this cute card that is interactive!! The little bike moves back and forth; I used Peachy Keen Stamps of the month kit for the face and sentiment. I used a new file from the silhouette store, Samantha . This is fabulous and SO springy! 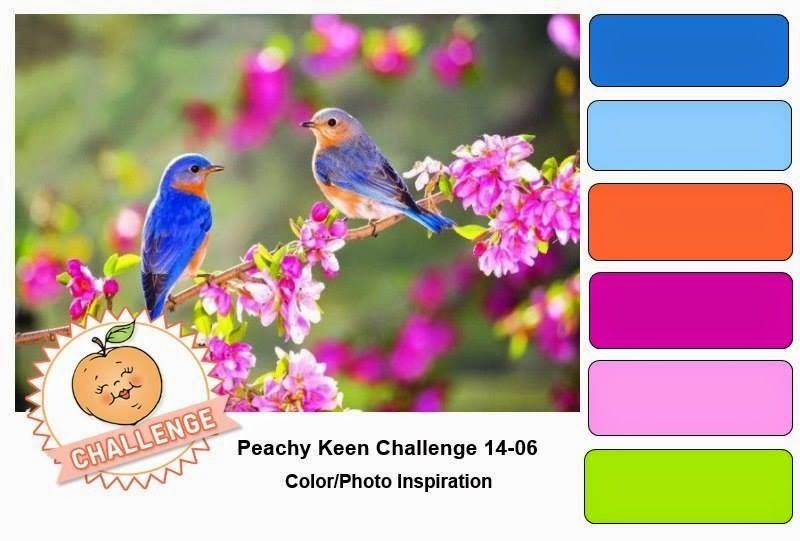 Thanks for playing along at Peachy Keen Stamps! Adorable...I love interactive cards! It's on my 'Crafts To Do' list. This is adorable Denise! Great interactive card!